Campaigning wraps up on Friday for elections in Comoros with President Azali Assoumani looking to secure another term in office against 11 opposition contenders. Sunday's polls are the first under a controversial new constitution potentially enabling Azali to remain in power until 2029. “Our party didn't want elections, we were expecting elections in 2021,” Hadji Mohamed Ali, a member of the national political council for the opposition Juwa party, told RFI. The opposition did consider boycotting the polls, but nevertheless judged that they have a good chance of winning. The vote is the first to take place under a new constitution following a referendum last June. It resulted in a resetting of presidential term limits, enabling Azali to possibly stand for two more five-year terms starting from 2019. The new constitution also scrapped the rotating system of sharing the presidency between the country's three islands – opposition parties boycotted the referendum, describing it as a power grab. Eleven candidates face off with Azali in the first round of the polls on Sunday and the opposition says the lack of a sole opposition challenger is not an obstacle to beating the incumbent. "This strategy to have multiple candidates was the best one for the opposition in order to win the elections," said Rachadi Abdallah, a spokesperson for Mohamed Soilihi, an independent candidate. One single opposition challenger would make it easier for Azali to win "in the right way or the wrong way", according to Rachadi, whereas with 11 opposition candidates in the field the vote will be split in the first round, making it hard for the incumbent to avoid a second round runoff. Mohamed, a founding member of Juwa, the country's largest opposition party, said having a number of opposition candidates on the ticket also prevents the government from stopping all of them from standing. Two opposition contenders – Mohamed Ali Soilihi and Ibrahim Mohamed Soule – have been barred from running. Azali faced an assassination attempt earlier in March on Anjouan island. His campaign director described a plot using dynamite to create a landslide. The opposition question whether any such plot took place, while the authorities announced four arrests. "No-one here really knows exactly what happened," said Rachadi, a former military officer, saying that there have been no major security issues during campaigning. The African Union has sent a 30-strong observation mission headed by former prime minister of Sao Tome and Principe, Patrice Trovoada, to monitor the polls in Comoros. 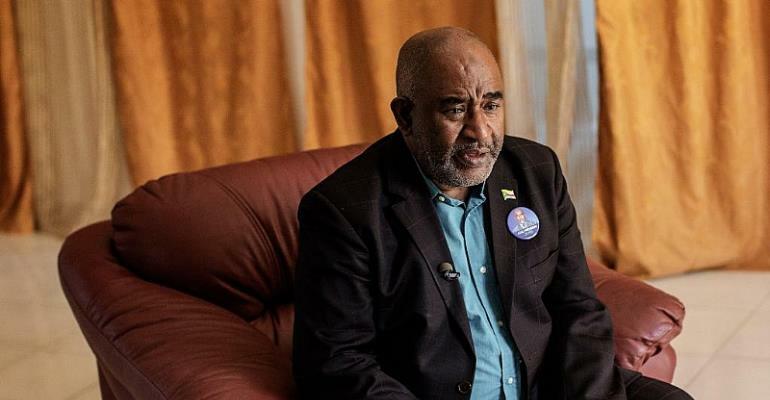 "I don't think those observers will be enough to cover the whole country," according to Rachadi, referring to rumours already circulating about possible fraud carried out by the ruling Convention for the Renewal of the Comoros party of Azali.